It takes a lot of work to maintain a social media presence. After you finish all the work of publishing a new blog post or unveiling a new service page on your website, the promotion has only begun. Fortunately, there are more tools available than ever before to make keeping up with social media easier. Some networks even connect to one another, so when you share to one the same thing gets passed on to another. Unfortunately, automated sharing is rarely the best way to post something to an audience, and your engagement will often suffer as a result. Just think about Instagram. Instagram offers up a whole array of sharing options, and you might even select a few to pass your beautiful image on to after you post in on Instagram. The Facebook posts usually look pretty good, but then again, Facebook owns Instagram. But share to Twitter, and your beautiful image is reduced to a link to Instagram. Hidden behind a link, many fewer people will notice it than if you had posted an image directly to Twitter. Businesses who care about their social presence need to be extremely careful with these auto-sharing features or they won’t reach nearly the number of people they have the potential of reaching. Fortunately, there are some quick and easy solutions to these problems that mean you don’t necessarily have to give up on the convenience of automated sharing in order to make your updates better suit your audience. This post will go through some of the pitfalls of automated sharing, and how to counteract them using tools, including WordPress plugins and IFTTT recipes. You may be wondering, what’s IFTTT? 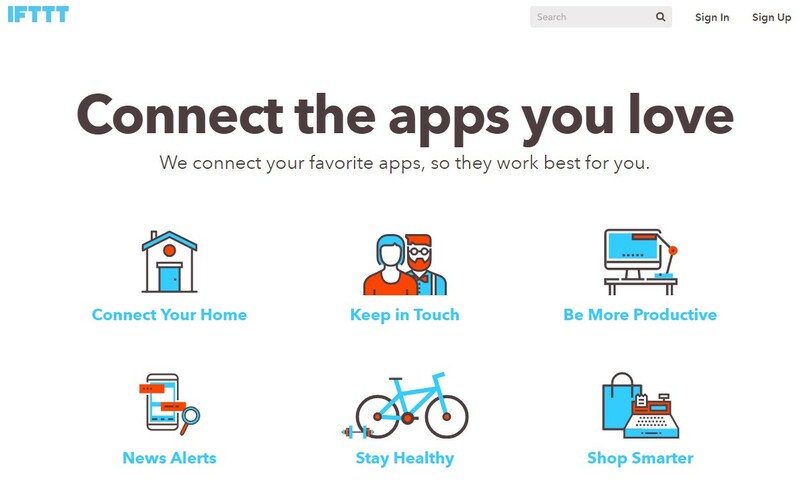 IFTTT (If This, Then That) is a free service for making different services play nice. This tool integrates with all these different services and gives you different options for making them work together. It also has a vast library of “recipes,” or connections other users have already set up between apps, that you can use. Some are quite clever! Here are some of the most common automation problems and how to counteract them. Everything was going swimmingly between Instagram and Twitter until late 2012. That’s when Instagram disabled support for Twitter cards, turning off the automatic embed of Instagram images into tweets. Now, users had to click the link to Instagram to see the images that were being shared with them. Many rumors began circulating that Facebook, the new owner of the network, was waging war with Twitter. CEO Kevin Systrom shut down these rumors by explaining that because Instagram had created its own liking and commenting features, they wanted the engagement to happen there instead of on Twitter. Either way, the end result is the same – for users, the Twitter connection got a whole lot less useful. While the title is pretty self-explanatory, what it doesn’t explain is that you can actually set any hashtag as the trigger to post to Instagram. 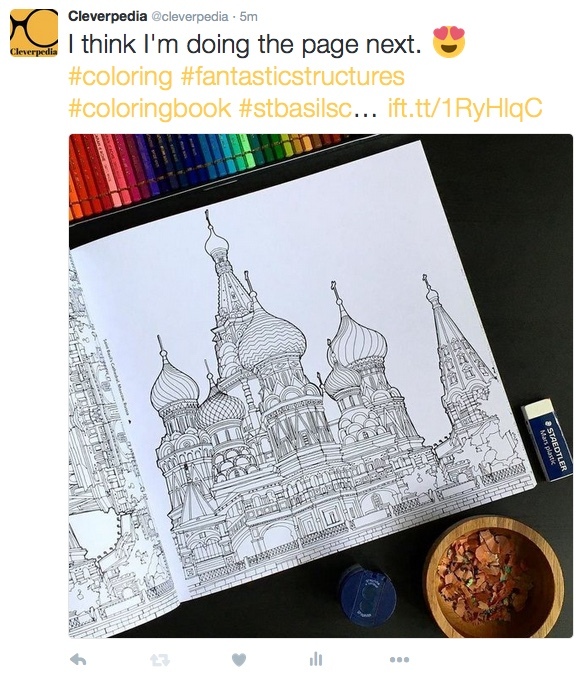 See, #twitter is not a very relevant hashtag to my blog’s audience, but #coloring is, so I set that as my trigger hashtag. 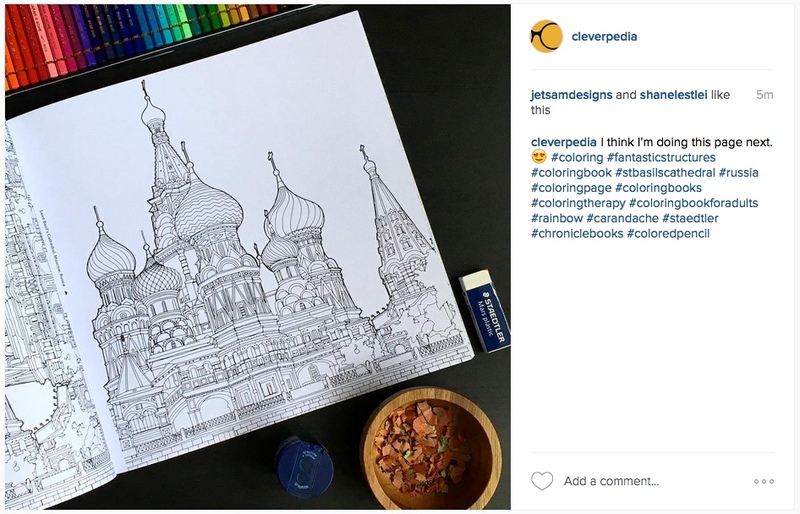 Here is the update I posted to Instagram – note that #coloring is the first hashtag. Though it can be anywhere in the list of hashtags, I like to put it first since Twitter will truncate the tweet when it hits the character limit and I want to make sure that hashtag is still in there. Remember, you shouldn’t tell Instagram to share on Twitter through the app, since IFTTT will take care of that for you. 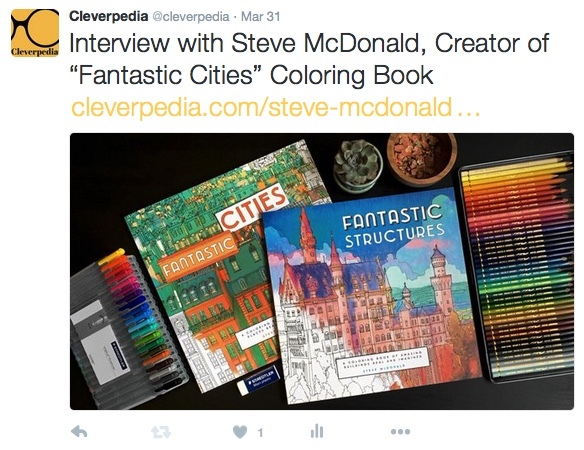 Now, all the Instagram photos I post that are relevant to coloring books will also be shared to my Twitter, where #coloring is also a popular hashtag. And all it took was two minutes of set up! As I mentioned above, Twitter has a habit of truncating messages that are auto-shared to it, since they are often coming from networks without a 140 character restriction. This doesn’t matter if it’s just cutting off a list of hashtags (you put the most important ones at the beginning, right? ), but it gets a little iffier when it’s cutting off an actual update. I would go as far as to say you just should not connect Facebook to Twitter through Twitter’s Apps integrations. The long format of many Facebook updates just do not transfer well to the short form “microblogging” Twitter is known for. So what’s the alternative? You have a few options. The first would just be to make your posts to Twitter and Facebook separately. I like to use the tool Buffer to share to Twitter, because I can Buffer an image from a blog post to share it in the tweet. Buffer spaces out your tweets automatically (hence the name), so you can load it up with tweets at one time and send them out over the next few hours, days, or even weeks. You can also connect Facebook, LinkedIn, and other services to Buffer in order to share your content or the content you curate in many places at once. Or, you can go the IFTTT route. There are tons of recipes that connect Facebook and Twitter, but I would shy away from those that just take your Facebook updates and plop them onto Twitter. Instead, look for recipes that accomplish a specific task. There are many more recipes available, so make sure you peruse IFTTT to find exactly what you are looking for. Wouldn’t it be nice if, when you hit publish, WordPress would fire off all those social shares for you? I’ve got some good news for you: it absolutely can! There are lots of IFTTT recipes for this, and if you’d like, you can configure a bunch of individual recipes to do all the sharing for you. 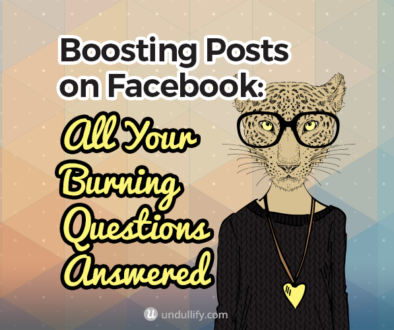 This might be the best plan if you want a lot of control over the way your posts are shared. But I have an even easier way up my sleeve… a WordPress plugin, one so ubiquitous that you may already have it installed. I know, it’s like magic! JetPack by WordPress.com is one of the most common plugins for WordPress, and it’s also free. 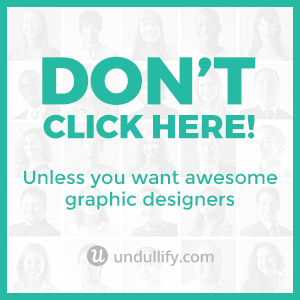 Publicize is handy because it’s sort of a set and forget situation. Once you’re set up, all of your new posts will be shared out to the networks you choose as soon as you publish a post. Publicize will always attempt to share an image with your updates; it will prioritize sharing the featured image, but if there is no featured image, it will try to draw another image from within the post to share. This feature alone makes it much more useful than other auto-sharing WordPress plugins that just share the title of the post and a link. To set it up, install JetPack if you haven’t already, and then go to Settings > Sharing. Publicize should be at the top of your sharing settings, with options to connect to Facebook, Twitter, LinkedIn, Tumblr, Path, and Google+. Click the “Connect” buttons to authenticate your other social networking accounts. 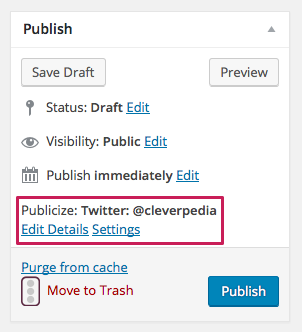 Now, when you are writing new posts, Publicize settings will be available in the sidebar, in the same box as the “Publish” button. From here you can uncheck certain networks or customize the share message if necessary. There are a few additional ways you can customize Publicize – check out the plugin’s documentation here to learn more. If you use both Instagram and Pinterest, you probably sometimes get the urge to pin an image from Instagram onto one of your boards. If you have, you’ve probably noticed that this is sort of difficult, because Instagram doesn’t have a sharing option for Pinterest when you post. One way around this problem is to install the Pinterest browser button. If you use your browser to look up the Instagram image you want to pin (you need to go to its dedicated page, not just view the image from a profile – you can do this by right clicking and opening the Instagram image in a new window), you can just hit this button to pin it. This is useful if you’ve already posted the image you want to pin, or if you want to pin other users’ images. After connecting to Pinterest and Instagram, you can set a board for the pins to go to and a hashtag (or a combination of hashtags) to trigger the share. 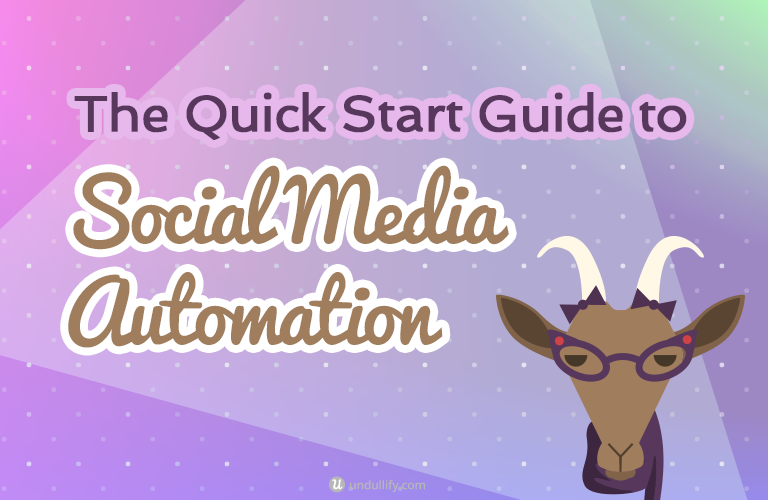 As I wrap up this post, I just want to warn about a few potential pitfalls of automating your social media. Be careful not to make these mistakes, as they are the same sorts of mistakes that led to many of the most well-known social media faux pas. It is possible to set up your Twitter so that ever user who tweets at you gets a response right back to them from your Twitter account. Yes, it does make your Twitter account seem active. Should you use it? No way! 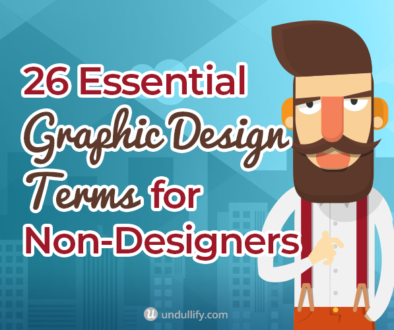 There are plenty of cringeworthy examples of brands. There are plenty of cringeworthy examples of brands using autoresponders to disastrous results. Either autorespond by Direct Message, or use a real human to respond to tweets. Automation is awesome, but it also makes it easy to over-post. If all your networks are connected and automating to one another, it creates a lot of noise – and the potential for the same piece of content to hit the same eyeballs many times over. Take care when setting up your automations not to overdo it. Even worse, do your followers a favor and do not set networks to autoshare in a loop. By which I mean, do not set your Facebook updates to auto-share to Twitter, and your Twitter updates to auto-share to Facebook, or something similar. 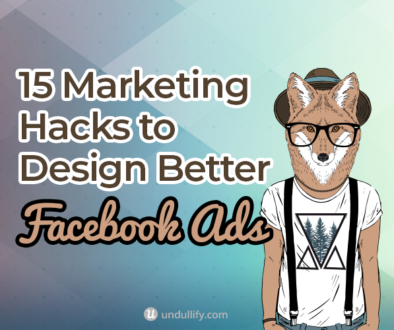 Depending on the service you are using to accomplish this, you could be creating an endless loop that shares the same thing back and forth ad infinitum. Yikes. After setting up automations, check back on them. Are they performing as well as your manual updates? Or do they seem out of place, disjointed, or robotic? What works for one network doesn’t always work for another, and you may need to do some adjusting or use another recipe to share successfully. 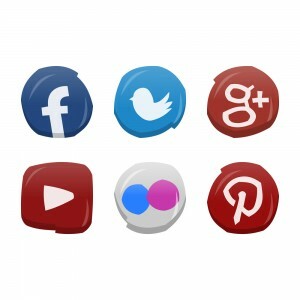 What are your favorite tools or IFTTT recipes for automating your social media? Share them in the comments below!